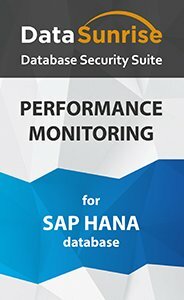 DataSunrise Database Performance Monitoring for SAP HANA is an effective multifunctional mechanism for detecting and simplifying further removal of serious impediments to SAP HANA functioning. Obtaining general view of other SAP HANA operation data. Generally speaking, having analyzed a query log, redundant and unexpected by a developer queries can be easily detected. Looking through the SQL command list contributes to bringing to the surface performance problems SAP HANA encounters as well as to finding solutions to them. The query result log may be handy for identifying weak points in application behavior. Initiated script examination is an effective means to spot the ones that cause problems. As all the data for assessment and examination is collected by one practical and reliable tool, there is no need in any other additional mechanisms. Thus, DataSunrise Database Performance Monitoring for SAP HANA is a reliable DBMS performance and operating delay assessment means dedicated to struggling with barriers that hinder normal SAP HANA functioning.